An amazing smile can have an enormously positive effect on self-esteem, self-confidence, beauty and success in life. In fact, the most simple smile makeover may be simply improving your oral hygiene by visiting your dental hygienist. The removal of surface stains such as coffee, red wine and nicotine can often be all that is needed to enhance your smile. However, only a dentist can whiten those stubborn and persistent deeper stains or darker shades of teeth professionally. The most common and rapid technique to brighten your smile is with chairside whitening using the state of the art Kor whitening system. 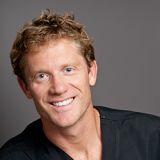 This system is second to none and is responsible for some truly remarkable enhancements in our patient's smile.